One of the most important concepts in fertilizer chemistry and plant nutrition is “solubility.” In the plant sciences, solubility is defined as how readily nutrients are dissolved in water and can be taken up by plants. There are many factors that can affect the solubility of a nutrient, including but not limited to chemical structure, ion charge, temperature, and pressure. pH can also have a profound impact on the solubility of nutrients; this is because different types of nutrients in a solution/soil colloid will tend to attract or repel each other based on their chemical properties. Sometimes it is beneficial to fertilize plants with highly soluble nutrients; sometimes it’s detrimental. In this feature, well examine the topic of solubility in greater detail so that you have a better grasp as to how the nutrients you choose to fertilizer with will 1.) react with the environment and 2.) affect plant health. Before we learn more about the solubility of common fertilizer chemistries, let’s take a moment to review basic plant physiology. As we will see, if nutrients were not capable of being dissolved in water, plant life would not be possible. All higher plants (including grasses, vegetables, and trees) have a vascular system which is analogous to an animal’s circulatory system. The plant vascular system consists of two primary types of tissues that are typically bundled together: xylem and phloem. Phloemtubules carry sugar, other organic compounds and minerals around the plant. Typically, sugar is transported down to plant roots as an energy source for root growth. Xylemtubules transport water and are responsible for keeping the plant hydrated. Water is drawn from the ground into the roots where it is pulled upward through the stem, all the way to the leaf or blade, where it eventually exists through stomata. (Stomata are tiny pores on leaf blades that open and close to control the rates of water loss and gas exchange). The entire process of water being drawn through the plant is called evapotranspiration. Because water has cohesive and adhesive properties (meaning water likes to “stick” to surfaces, as well as itself), when water evaporates out through a stomate, another water molecule gets pulled into the stomate to take its place. Essentially, xylem tubes facilitate an unbroken chain of water molecules that are constantly being pulled upward through the plant. This is critical because this is how nutrients from the ground are transported to all parts of the plant; they are dissolved in the water located inside xylem tissues. In other words, nutrients that are not soluble cannot be used by plants. State of solubility at delivery – Which fertilizers perform better: granular or liquid products? Much study has gone in to determining if granular or liquid fertilizers are more effective at delivering nutrients to the plant. As it turns out, as long as the nutrient source, environmental conditions and application rate are the same, both are equally effective. When nutrients are already dissolved in water, they are immediately absorbed into the ground. In the case of granular fertilizers, if the ground is sufficiently saturated due to heavy irrigation or adequate rainfall, the same nutrients will readily dissolve at disperse into the soil in the same manner as if they were delivered in liquid form. In the case of turf, two benefits that come from liquid fertilizer applications are the immediate penetration of nutrients into the soil, as well as a more even distribution of nutrients across the soil surface. But remember, given adequate ground saturation, nutrients delivered from granules will disperse just as easily given enough time. 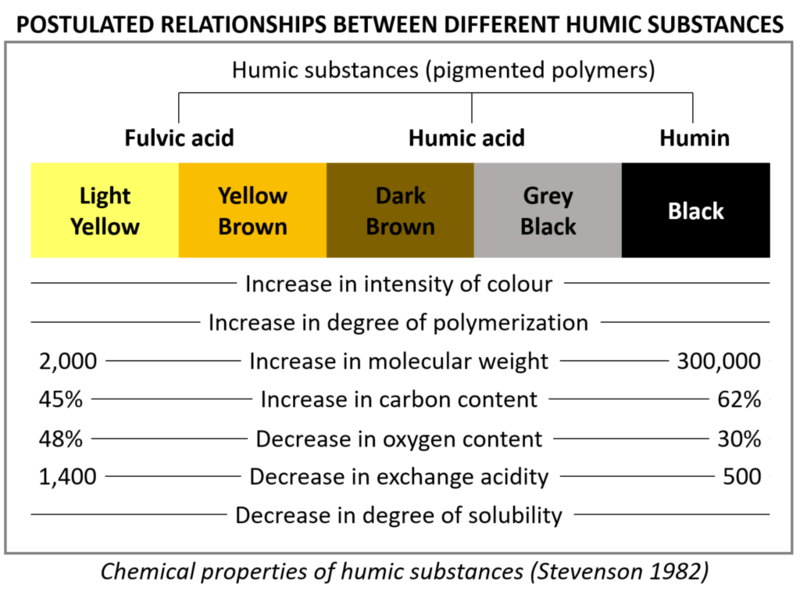 As referenced earlier in this feature, solubility of nutrients can vary significantly by nutrient source, as well as temperature. Take a look at the chart below which reports the solubility of some of the more common nutrient sources in the industry. Note that in every case, as temperature increases, so does solubility. Most plants need more nitrogen than any other primary or secondary nutrient. Nitrogen comes in numerous forms, including but not limited to: urea (all sub-forms), ammonium (all salt forms), nitrate (all salt forms) and numerous organic sources (such as biosolids and composts). Each of these N-sources has a different degree of solubility. For example, urea is extremely soluble, which means if you drop urea granules into a beaker of water, the urea will readily dissolve. The extreme solubility of urea is beneficial because an abundant supply of nitrogen is easily delivered to plant roots in the presence of water. Unfortunately, urea’s extreme solubility can also be detrimental in situations where nitrogen is accidently over applied (which leads to burning). 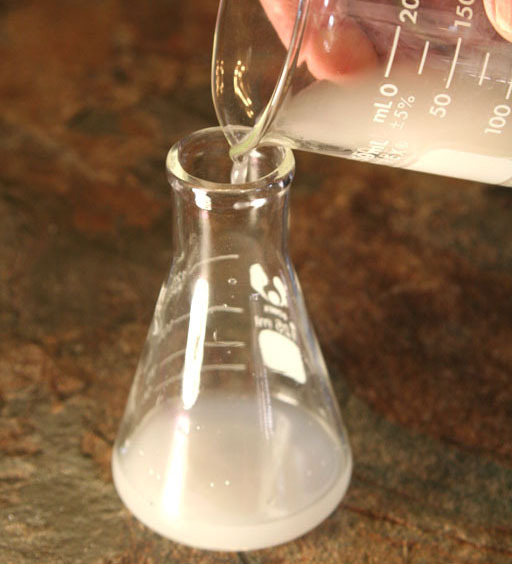 It is important to note that the release rate of urea (or other forms of controlled release nitrogen) in granular form can be altered by coating it with polymer, sulfur or both, HOWEVER this is a physical method of slowing down the release of nitrogen. The solubility of the urea nitrogen contained within the polymer/sulfur coating remains unchanged. Some fertilizer labels contain a section called: “WIN” or “Water Insoluble Nitrogen.” This refers to any nitrogen in a compound that is not readily dissolvable in water and immediately available to a plant. Over time, this nitrogen slowly becomes available raw ingredient the compound breaks down. Humic Substances are highly valuable soil amendments because they chelate micronutrients, retain soil moisture, and create an ideal living environment for beneficial soil microbes. It is important to note that not all humic substances are alike. Humic substances range from highly soluble fulvic acids and moderately soluble humic acids, all the way down to completely insoluble humin substances. Humins are dark and tar-like in appearance and have no beneficial properties in plant-soil systems. Make sure that if you add humic substances to your soil, you are adding mostly fulvic and humic acids. For those applying liquid products through traditional spraying and fertigation, make sure your humic substances consist of mostly fulvics and lower molecular weight humic acids. Other humic substances may not dissolve in water, which could clog spray systems. 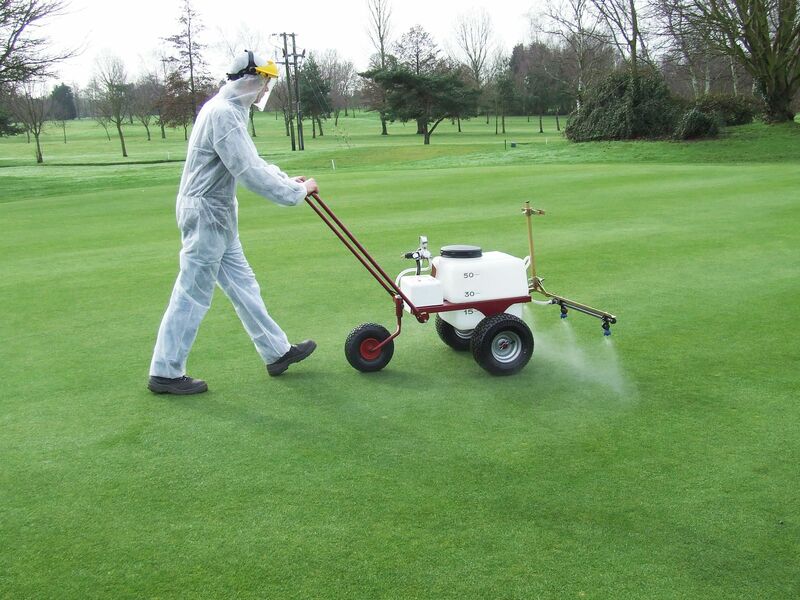 Iron is an important micronutrient commonly used to give turf a dark, lush green appearance. Iron typically comes in two forms in the earth’s crust: Fe+2 (ferrous iron) and Fe+3(ferric iron). Plants prefer the ferrous form for uptake, however the ferric form is more abundant in the soil. Have you ever tried to dissolve iron oxide (rust) in water? Nothing happens- that’s because iron oxide is completely insoluble in water. Ferrous iron is quite soluble in water (hence its ability to be transported in xylem tissue), however ferrous iron is easily oxidized into the ferric form. For these reasons, iron sulfate and iron sucrate are popular forms of iron in granular fertilizer mixes. When iron is bound to a sulfate or sucrate, it becomes harder for the environment to convert it into an oxide. In order to maximize the solubility of iron in liquid fertilizers, iron-chelates are used. Chelates are extremely soluble in water; they surround the metal ion and protect it from the oxidative environment of pure water. The most common forms of chelated iron are Fe-EDTA, Fe-EDDHA, and Fe-DTPA. If you’ve ever used a liquid iron nutrient product, it more than likely contained one of the three aforementioned chelated iron complexes. Lime is primarily used to balance the pH of acidic soils. Compared to the solubility of most nutrients, lime’s solubility is relatively low. Interestingly, as opposed to most nutrients, the solubility of lime decreases as temperature increases. Solubility is also affected by particle size; the finer the particle, the more soluble lime becomes. Lime typically comes in two forms: CaC03 (calcium hydroxide lime) and Ca(OH)2·Mg(OH)2 (dolomitic lime). It is important to note that in the fertilizer industry, when we say “lime,” we are actually referring to ground-up “limestone.” Pure “lime” has the chemical formulas CaO or Ca(OH)2; both of which are purified in thermolytic reactions. Pure lime is extremely soluble, hence it forms the basis of concrete products. Before applying lime to your soil, perform a pH test first. When applying lime, make sure to water it thoroughly into the soil, as again, limestone is not very soluble. For those who prefer liquid fertilizers and soil amendments, it is important to note that regardless of the relative solubility of the ingredients you use, some ingredients simply don’t mix well with others (this is chemistry 101). When ionic compounds dissolve in water, the ions disassociate. 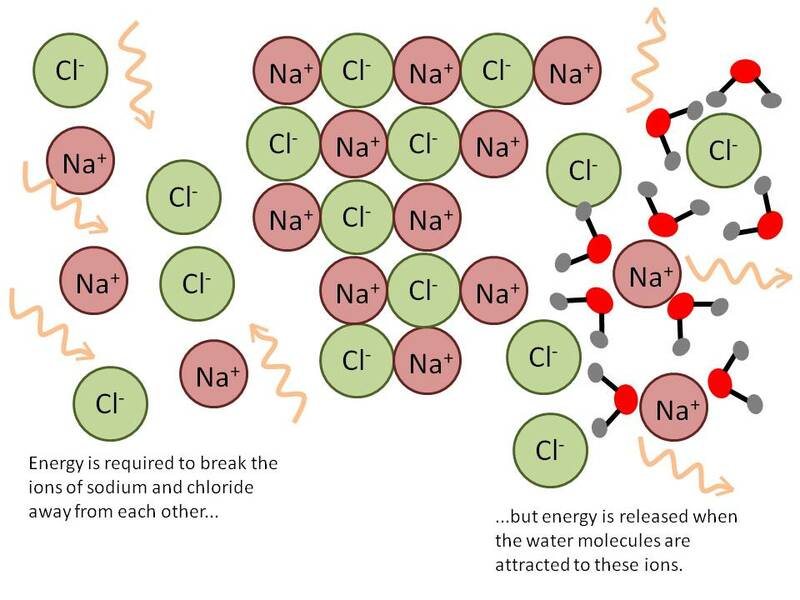 For example, when table salt (NaCl) dissolves in water, the Na+ and Cl- ions split apart from each other. In nature, pure sodium is highly reactive, and pure chlorine gas is deadly, however when dissolved in water, they are quite safe. When two different kinds of salts are dissolved in water, it is possible for the ions to perform a double replacement reaction, meaning two entirely new compounds are created. Sometimes these new compounds are insoluble, and they immediately precipitate in solution. 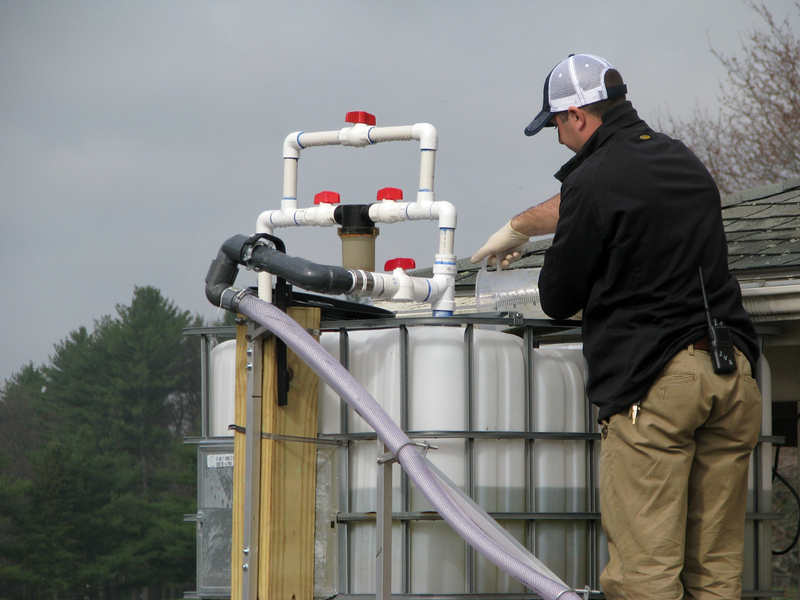 Whether mixing nutrients, soil amendments, or pesticides, ALWAYSread and understand the label ANDperform a small-scale jar test with new combinations of ingredients before large scale tank mixing. If you have any questions or concerns, contact the product’s manufacturer before proceeding. Solubility & Compatibility – master these two concepts and your fertilizer programs is sure to give you fantastic results whether your growing turf, ornamentals, trees, or vegetables!